This baby's short-sleeved shirt conjures up a good mood in no time! 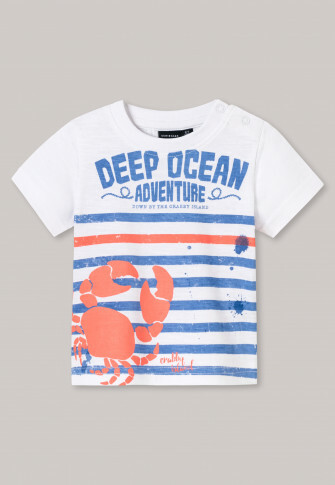 A cheeky crab romps here amid blue and white stripes and is fantastically accompanied by the words: "Deep Ocean Adventure, down by the crabby island". 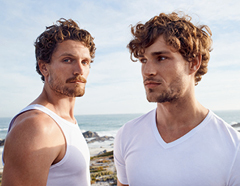 Thanks to the 100% soft cotton, this t-shirt not only feels wonderfully soft, but it also comes as super stylish in a slightly textured slub yarn jersey. 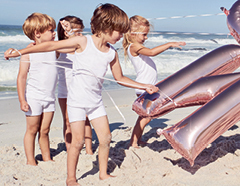 A stroke of luck for all little rascals - in the best SCHIESSER quality, of course! From the SCHIESSER line "Crabby Island"